On & True: adventure™: groupon's monopolization of the "out of the ordinary"
adventure™: groupon's monopolization of the "out of the ordinary"
Tell someone you went zip-lining this weekend, and he'll no doubt say "oh did you get a groupon?" Or tell your coworker that your boyfriend took you out to the nicest restaurant for 3 zip codes, and hear "hmm, he had a groupon?" I wonder if this is a bad thing -- the corporate takeover of spontaneity. For like a Valentine's Day defined by 1-800-Flowers and a Hallmark limerick, the interchangeability of "to adventure" and "to redeem your Groupon" is lacking of the original concept. 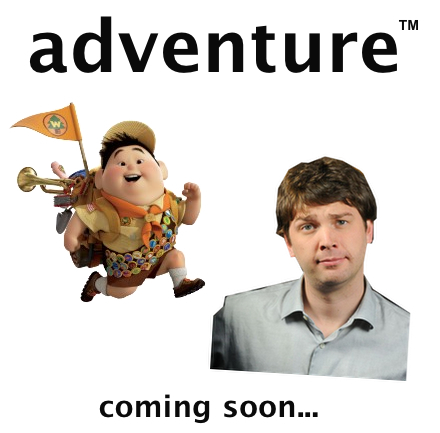 At the very least, the incorporation of adventure sounds like a Pixar movie waiting to happen.